Hi-Rez Studios, the house of several multiplatform, online, and free-to-play games, has announced a studio-wide cross-play and cross-progression initiative. While the execution of this initiative is still a ways off, Hi-Rez Studios has released an early FAQ going over as many details as possible. 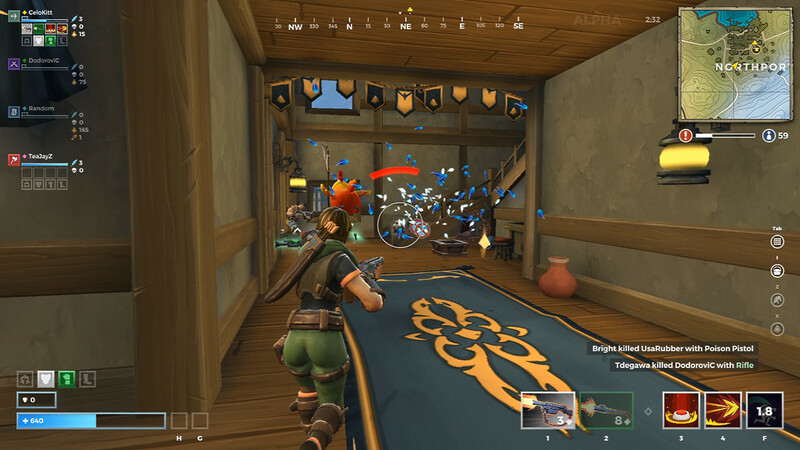 As you may expect at this stage of the game, the announcement states that Paladins, Smite, and Realm Royale will eventually support both cross-play and cross-progression across the PC, OS X, the Xbox One, and the Nintendo Switch. This of course excludes the PlayStation 4, but an additional line in the FAQ means we should still be paying attention to this as it develops. The line in question says, “we are technically ready to support cross-play on other platforms as the opportunity arises.” Other platforms of course, compared to that earlier list, only leaves so many options without naming them outright. As we know, Sony Interactive Entertainment recently opened the floodgates with Fortnite, sort of, following a massive wave of controversy that hit after Fortnite was released for the Nintendo Switch. A beta form of cross-play was introduced, and other games could eventually come into the fold if things work out in Fortnite and Sony’s internal policy changes. Generally folks lean towards Rocket League as the most likely candidate for game number two, but if Hi-Rez Studios makes an impact with this new plan, it’s worth watching this space to see if anything changes in the future.